Add your iOS dictionaries to Spotlight! 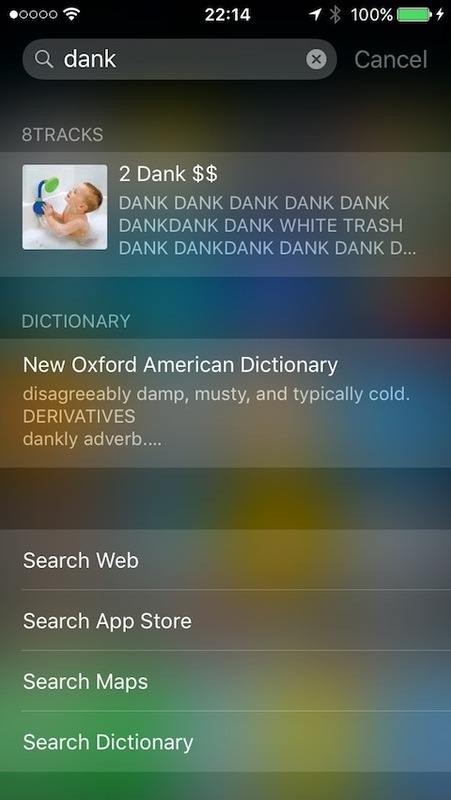 This tweak uses the dictionaries already on your iDevice to define words - no internet connection required! As always, this tweak is open source. No options to configure. You can mange your iOS dictionary by tapping 'Manage' after you define a word.